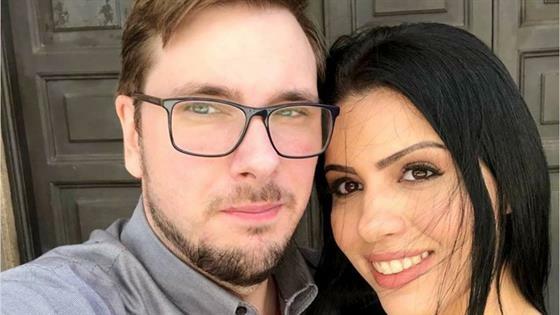 The reality star, who appeared on season six of 90 Day Fiancé alongside her ex Colt Johnson, took to Instagram on the heels of the show's "Tell All" Part 2 episode. As fans well know, the weekend kicked off on a rocky note for Lima, who was released from the Clark County Detention Center after being arrested for alleged misdemeanor domestic battery. On Friday, the same day she was arrested, Johnson filed for divorce from his wife of just seven months. In an Instagram Live posted by Lima after the Sunday night episode, she explained that the GoFundMe account that had raised money for her had been reported by "haters," taken down and the money refunded. Lima tearfully asked for donations to hire attorneys since she cannot work in the United States. "It's important to me. The immigration attorney, the divorce attorney and the criminal attorney. The kind of attorney I have to talk to about my case," she said on Instagram. "I not feel happy about it, I not feel proud about it, but it's something that I really need," she said of another GoFundMe account. "I cannot work and for now just to have my friends help me with the situation, so I really need it," she said, noting it upsets her to have to ask. "To come here to beg—it's really sad, really sad for me." "There's a lot of things you guys don't know," her friend Danielle said in the Instagram Live, alleging that the show is scripted. "The show portrayed her in a way she is not." E! News has reached out to TLC for comment. Danielle added, "She wants to say thank you so much to the people who are supporting her, supporting her situation, who understand her situation." "I'm not perfect, but I did everything from my heart," Lima said. She also addressed fans in an Instagram statement, writing, "Hi Everyone, as you know, the haters reported my go fund me account after I reached the goal in only 2 days. I am so thankful for all of the donations. Unfortunately, I wont get the money. I got one email and they said you all will be refund." Later on Monday, she issued another Instagram statement to fans, explaining that the reason her original GoFundMe campaign was shut down was because "I tried to raise money for my bail and it goes against their terms." Lima assured donors would be refunded and confirmed her bail had already been paid by her friend and she's secured an attorney for that case. "I am creating a new campaign to help me with my new start and for my immigration and divorce fees," she said. She also noted her Vimeo and PayPal account are "on hold." As for Johnson, he seemingly addressed his ex on what appears to be his new Instagram account. "I don't understand my soon to be ex wife. She comes to America with literally nothing. The suitcases she used for travel I provided for her. On her arrival I already had clothes waiting for her to wear and everything she needed to start a basic life in America. Over the course of months I continued to provide for her, gave her shelter, food, and supported her wants and dreams. When she wanted a dress or makeup I bought it for her. When she wanted to take ESL classes I found a class for her and drove her," the post read. "When she wanted to go to a gym I took her to every gym in town and eventually she joined two gyms simultaneously. When she needed a doctor, lawyer, therapist I would always do what I could for her. My sole mission since her arrival was to see that she was happy, taken care for and nurtured. When she wanted to start her business I gave her a thousand dollars just to start. Every time she was in trouble, I was there."